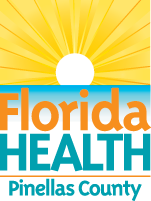 This site is published by the Florida Department of Health in Pinellas County. The material that appears is for informational purposes only and the appearance of any organization or person is not intended as an endorsement by the Florida Department of Health in Pinellas County. This site uses links to other web sites in an effort to assist visitors in locating information on topics that might be of interest to them. The Florida Department of Health in Pinellas County can not attest to the accuracy of information provided by linked sites. Linking to any website or any products outside of pinellashealth.com by any representative of Florida Department of Health in Pinellas County does not constitute an endorsement of any kind. This site is frequently updated and improved. New content will be added as it is available. Although we will attempt to keep information accurate, the accuracy of the information provided cannot be guaranteed. Various clipart and image collections appearing on this site are used under license by the department or its web manager of this site. These images are for viewing purposes only. Any reproduction may be prohibited under federal/state copyright or trade secret laws.